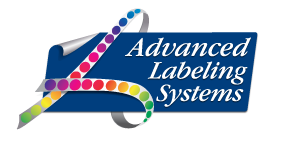 Advanced Labeling Systems offers a full range of custom labeling solutions to meet your specific needs. Our consultative, creative approach ensures that your labels will be made with the best facestock, inks, adhesives and coatings available to satisfy your unique requirements. We’ve helped everyone from nationally-recognized name brands to local start-ups develop the attractive and highly effective labels and tags that make their products stand out from the rest. Working with Advanced Labeling Systems is easy. Friendly and courteous representatives are available to answer your questions and help you get started. Just go to our Request A Quote page and fill out one of our online forms.